Please this about the management of HINDU temples alone. Vedic people did not build temples, nor did they worship images of gods in their abodes. They performed sacrifices and nourished gods through sacrificial ceremonies, during which they might have used images to perform symbolic sacrifices. Although they did not practice idol worship or build temples, elements of Vedism as well Tantrism can be found in the structure and configuration of present day Hindu temples. Hindu temples are found all over the world, especially in countries where sizeable Hindu population exist such as Pakistan, Bangladesh, Indonesia, Malaysia, Fiji, Mauritius, Guyana, Trinidad and Tobago, the Caribbean, Suriname, South Africa, Europe, Australia and North America. The world’s oldest and largest temple is the Angkor vat in Cambodia, while the largest, most recent temple is said to be the Swami Narayan (BAPS) temple at Robbinsville, New Jersey, the United States. The ownership of the Hindu temples in India is partly guided by the state laws and partly by tradition and local customs. Most ancient temples, such as the ones located at Tirupathi, Madurai or Tanjavur are controlled by Government managed trusts in accordance with the state laws. Their maintenance may also be looked after by the Archaeological Survey of India, a government body, which has been entrusted with the responsibility of preserving and protecting the monuments and heritage of India. A few temples such as the ones at Hampi, Khajuraho and Pattadakal are declared UNESCO Heritage Sites. Many states have passed the Hindu Religious Institutions and Charitable Endowment acts to govern the ownership, maintenance and finances of the temples in their states, which have been listed under the acts or which have been taken over by the government due to mismanagement and irregularities. The temples which do not fall under the preview of the act are managed by the private trusts or descendants of the royal families or the people appointed by them. State interference in the ownership of Hindu temples has been a contentious issue in recent times. On the positive side, government involvement prevents the misuse of temple properties or misappropriation of revenues by private individuals, but on the negative side, it gives them unlimited powers to spend the temple funds according to their agenda. 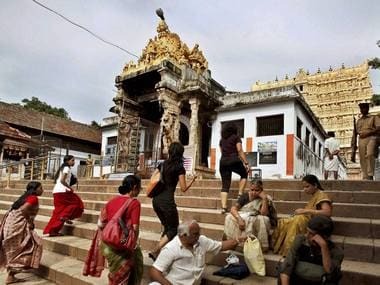 One of the common complaints is that much of the revenue earned by the temples is diverted by the government for purposes other than their maintenance or welfare or the promotion of Hindu Dharma. Many Hindu temples are in dilapidated conditions and on the verge of closure. The revenue from large and wealthy temples can be used to improve their condition, which does not usually happen unless it becomes a public issue. Incidents of misuse of funds and irregularities in managing temples and trusts, favoritism in appointing priests or misuse of temple trust funds are also not uncommon. Each Hindu temple which has been built by people in India and elsewhere is an excellent example of the love and devotion which human can show to God and their aspiration to transcend their limitations and radiate his divinity through them. The public visage of Hinduism reveals itself in its great temples which are numerous and bear testimony to its long history. Know all about Hindu Temples their history, design, architecture, construction, history, aspects, management and importance in Hinduism. The story of the government taking interest in temple trusts in India goes back to around the 1840s when the British government — unable to control temples — asked several prominent mutts(religious orders) to administer temples and endowments. This was because while a temple was located in one place, a devotee might have donated his lands located far away to the temple. It was difficult for the tax authorities to reconcile ownership of lands with temple managements. In the 1920s, the local legislature in Madras State (much of which later became Tamil Nadu) passed the Madras Hindu Religious Endowments Act, 1923 (Act of 1925). This led to the setting up of a Hindu Religious Endowments Board (Board) with the object of providing for better governance and administration of certain religious endowments. Its validity was challenged. By 1926, the Madras Hindu Religious Endowments Act 1926 – ACT II of 1927 was passed thus repealing the Act of 1925. This was subsequently amended several times. By 1939 the Madras High court ruled that the Board cannot undertake the notification process (for takeover of temple trusts) on frivolous grounds. By December 1951, after independence, the Madras High Court Division Bench passed twoorders questioning amendments and orders passed by the TN government in August 1951. Dikshitars (Brahmin priests and aretakers) are recognised as a religious denomination. By 1954, the Supreme Court dismissed TN’s appeals as the state itself decided to withdraw the earlier notifications. In 1959, the state introduced the Act of 1959, Section 45, which empowered the state’s authorities to appoint an Executive Officer to administer the religious institutions, but withsafeguards. On 31 July 1987, the commissioner of religious endowments appointed an Executive Officer for the aministration of the Chidambaram Temple. The Dikshitars challenge this order by filing a writ petition. The High Court of Madras grants stay of operation of the order, but the writ petition was dismissed on 17 February 1997. After several more attempts at the High Court of Madras, the Digshitars along with Subramaniam Swamy, member of Parliament, file a writ appeal with the Supreme Court — appeal No 181 of 2009, followed by a civil appeal No 10620 of 2013 contesting that Article 26 of the Constitution confers certain fundamental rights upon the citizens and particularly on a religious denomination which can neither be taken away or abridged. On 6 January 2014, the Supreme Court upholds the contention. The apex court curtails the State’s right to administer temples. Indian Democracy is governed by a written constitution. The majority population of this sub continent are Hindus. 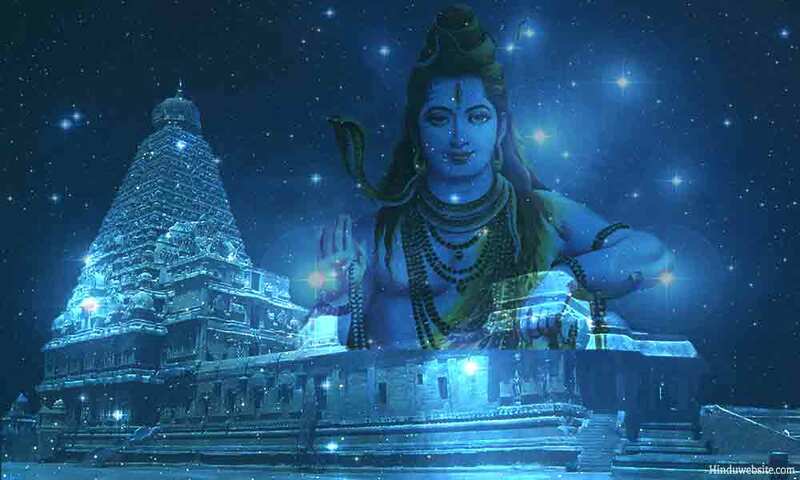 The Hindu religion is considered to be one of the oldest religions in the world. Hindu religion encompasses itself several castes/sub castes of different shape and different colour. The caste and sub caste also very from State to State or from region to region. The practice also varies to a large extent. The Hindu religion at best can be considered to be a case of unity in diversity. The Hindu religion is based on scriptures such as Upanishads, vedaa, Geetha etc. Hindu religion is considered to be a way of life. Hindu religion permits worship of even inanimate objects-Ashwatha vriksha is worshipped/ Nagadevatas are worshipped/soil is worshipped/ sea is worshipped to give few examples. The law of the land, which is common and uniform throughout the country across all states and union territories for the religious minorities, is not so for the Hindu majority. This anomaly is clearly evident from the fact that the Hindu Religious and Charitable Endowments Act is not uniform across the country. In a ‘secular’ country, which is supposed to have equal respect for all the religions, how could a state have control of only Hindu Temples and not other religious worshipping places? How come the HR and CE Act is enacted in some states and not so in some other states? So, it automatically throws a big question, whether the charter of HR and CE Act is Constitutional? Around 1840, the then British Government started giving up administration of temples. They asked some of the prominent mutts in Tamil Nadu to look after some of the important temples and endowments. Around 1840, the then British Government started giving up administration of temples. They asked some of the prominent mutts in Tamil Nadu to look after some of the important temples and endowments. The Heads of Mutts who were happy to takeover the administration of these temples so that they are run as they ought to be run, were careful enough to get written documents or “Muchalikas” from the British Government, which assured them that they would not take back the temples from the Mutts. Thus some very important temples came under the complete control and ownership of these Mutts and the Mutts ran them ably and efficiently. The primary purposes of worship and utilization of funds meant for the upkeep of temples and conduct of rituals were never lost sight of by the Heads of Mutts or officers. While a few temples were thus brilliantly administered by the Mutts, thousands of other temples in the then Madras Presidency were handed over to the respective trustees with the then Government playing little or no role in supervising them. In my view, Each Devastanam board and Temple Trusts Must be Independent. Even if it is like a PSU. All state and Central government laws should be applied. No religious exception, Temple may have a Dress and behavior code as long as it does not contradict other civil codes. And India must have one uniform civil code. And people who divide us, to get the advantage for themselves must be called out. Agree, the devasom boards have to be independent. But why have any govt trustees and any laws at all to govern them ?? The priests by 1000s of yrs of tradition should be allowed to continue and have total control of the temple and its administration. This is how it was right through history. And these priests managed them with aplomb and used the temple funds for the public good. All religious institution should be exempt from govt interference and the laws. Priests should decide on the traditions and customs in each place as has been followed for centuries. For eg, take Tirupati, the priests have to put up with innumerable govt interferences and troubles. Same is the case with other state temple administrations. Despite so much focus from right wing groups on religion, why are priests not given garaunteed income or pensions ?? Our culture will not survive if we don't address this on priority !! Hopefully some of the supporters can take this up. i studied in veda patashala....my friends are from temple priest families too....just they survive due to temples..
very good thread indeed. But the government interference in India for the temples, and now it has gone to courts also, the properties are mis managed by government and not spent on those temples earned by it. Instead used for government agenda why only temples when poor archakas are paid tuppence?? Agree the corporates do a great job, but the key is to preserve traditions. The priest should be the leader in managing the temple administrations as it has been for centuries. Priests will decide on the succession similar to how our madams are being run. Any reform should be discussed on a need basis and agreed by most if not all. in many cases...priests/brahmins are starting temples even in USA...but later hypocracy/ego clashes..
Atleast in Tamilnadu, earnings of the temple are not properly accounted or priests paid decently to maintain their family. The worse is that apart from pilferage some of these funds are used to entice Hindu's to other religion. Temples earnings are to be used for priest salary, temple maintainance, temple staff salaries, Temple activities, ved patashala's , scholarship for poor students and finally for common good as water supply etc. So what type of Vyuha is it? Where one knows how to get in but doesnt know how to maintain the phalanx. May be there should be a reward based system..so only then they would finish the work. Or get younger people to manage it cos they have higher levels of hormones to function effectively...oldies are a pale shade of green..starting problems and maintenance problem..so all.they do is get angry cos only anger works in a body which is no longer visited by Kandarpa.